Fri., April 19 | 9:30 a.m. – 10 p.m. Sat., April 20 | 9:30 a.m. – 5 p.m. Sun., April 21 | 9:30 a.m. – 5 p.m. Mon., April 22 | 9:30 a.m. – 5 p.m. Valet services will be available on the dates listed below for a $10 flat rate. 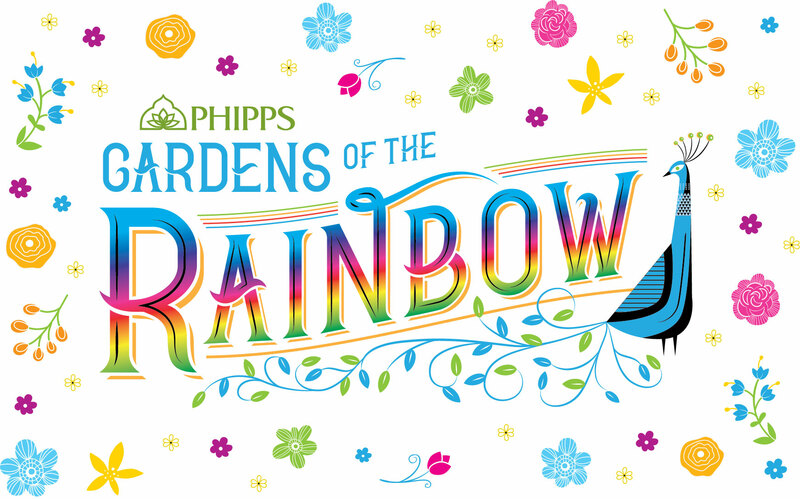 Don’t miss Phipps’ new show that’s bursting with color! 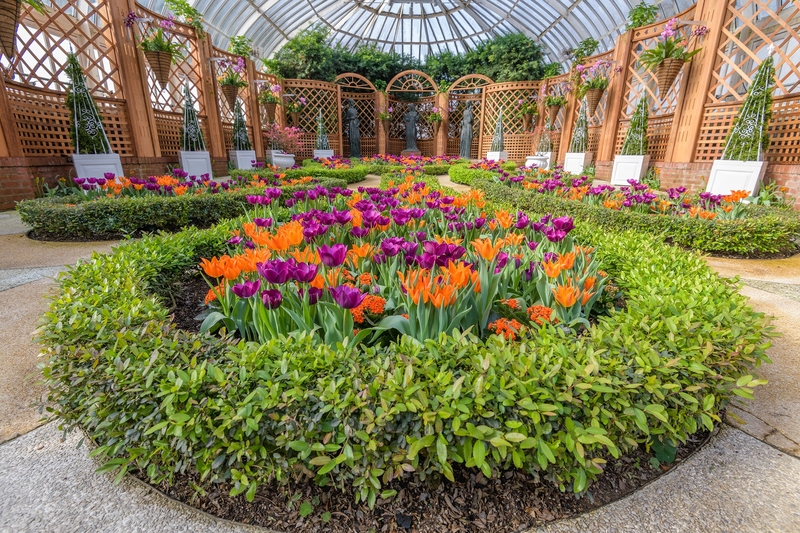 Experience nature's most beautiful spring blooms in a dazzling celebration of the season, highlighting the spectrum of vibrant floral hues and captivating scents throughout the conservatory. 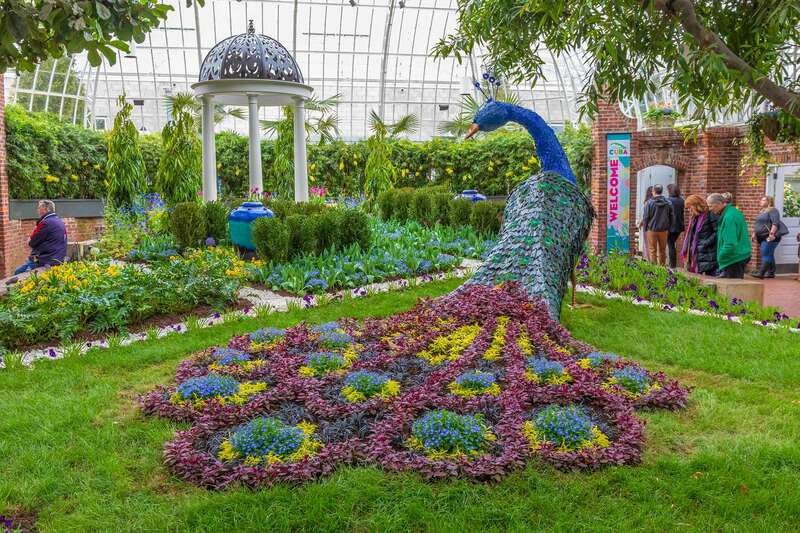 Watch a time lapse video of the installation of our South Conservatory display, featuring a 9-foot-tall topiary peacock! 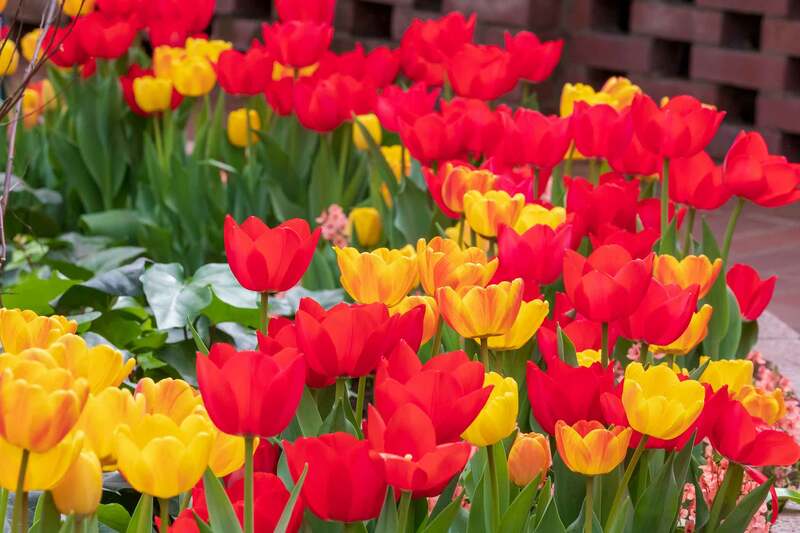 A new level of sensory splendor awaits through abundant beds of tulips, hydrangeas, daffodils, snapdragons, primula, lilies and additional spring floral favorites in a marvelous rainbow of color. From warm oranges and yellows to cool blues and show-stopping silvers, these breathtaking displays creatively capture the bright, brilliant spectrum of spring. 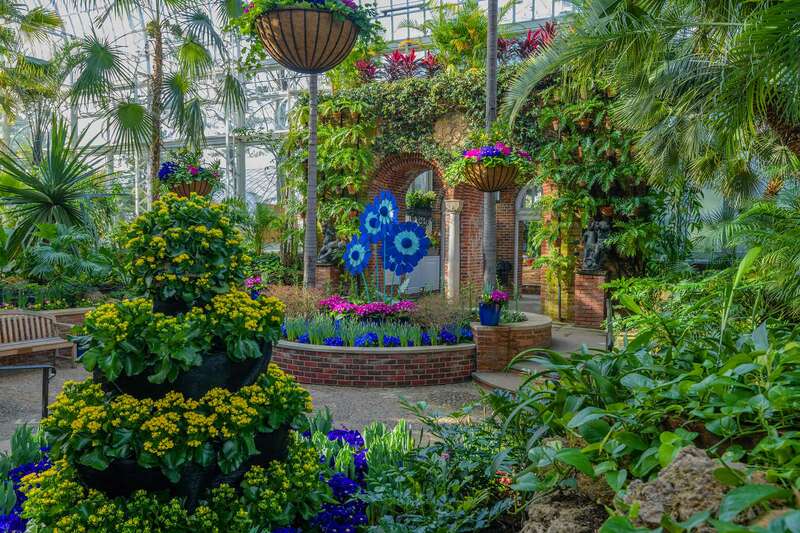 You’ll be inspired by all of the colorful sights, scents and aromatic delights awaiting you at every turn in Phipps' all-new Spring Flower Show. Plan your visit today to experience Gardens of Rainbow, making new memories at this season’s can’t miss event that will last a lifetime. 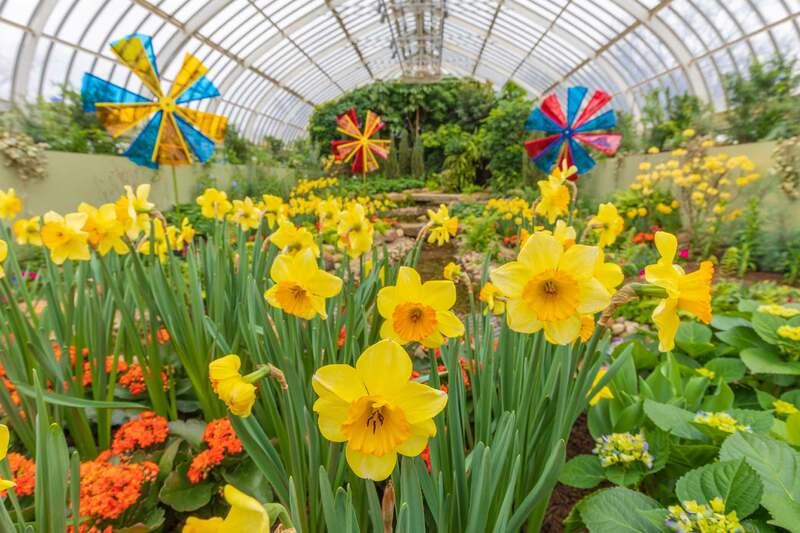 Spring Flower Show: Gardens of the Rainbow, designed by Associate Director of Exhibits Jordyn Melino, runs Sat., March 23 – Sun., April 21. 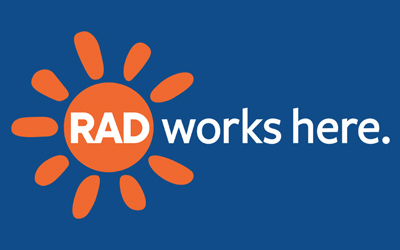 Hours are 9:30 a.m. – 5 p.m. daily and until 10 p.m. on Fridays. Admission is $17.95 for adults, $16.95 for seniors and students, and $11.95 for children (2 – 18). Members and kids under 2 enter free.